This year, our NextStep user conference was all about creating great user experiences on enterprise web and mobile applications, and we were pleased to include usability guru Steve Krug to the speaker line-up as keynote. Over several days, Steve spoke and led workshops for hundreds of participants. Steve is perhaps best known as the author of Don't Make Me Think: A Common Sense Approach to Web Usability. This book has more than 350,000 copies in print and is in it's second edition. His latest book is the usability testing handbook, Rocket Surgery Made Easy: The Do-It-Yourself Guide to Finding and Fixing Usability Problems. 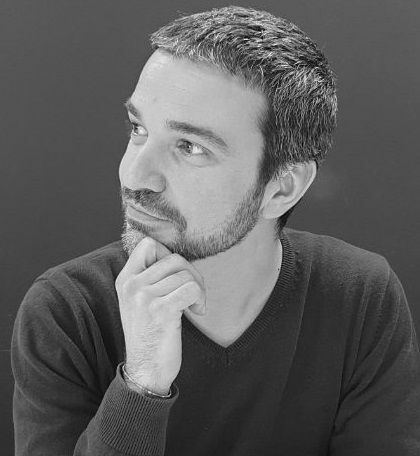 Michel Ozzello: What are a couple of things every technology company can do to make usability more central to their development - and if they are not already doing that, why do you think that is the case? Steve Krug: I think there are basically two routes to boosting the amount of commitment to usability. Either (a) get a powerful advocate somewhere very close to the top of the corporate ladder who decides that usability is going to be part of everyone's job and allocates the time and budget to make it happen, or (b) start small and grow virally. The second case is the one that interests me the most, because it's the one that almost anyone who believes in the value of usability can have a hand in. (You can always try to convince management to drink the user experience Kool-Aid, but I think it's usually something they have to discover on their own.) I have to admit that I'm one of those guys who own a hammer so everything looks like a nail to me: I think that the best way to "infect" an organization with the UX bug is by getting as many people as possible to watch some live usability tests - even one or two. A lot of the people I know who run usability tests for a living talk about it as a conversion experience: people watching their first usability tests often just suddenly "get it" that (a) regardless of what they thought before, all users are not like them, and (b) people have a much harder time figuring out how to use things than we like to think (i.e., they spend a lot of time just muddling through). So all of a sudden, it becomes clear that to produce something that people will enjoy using (and something that doesn't generate tons of frustration and support calls), we have to invest a lot more care, thought, and testing into the design of the things we build. Why do I think most companies still don't pay enough attention to creating good user experience? I guess there have always been a lot of reasons. For instance, historically you've always been much more likely to get fired for shipping a product that's buggy or lacking crucial features than one that frustrates people. And UX research (e.g. usability testing) always had a reputation for being expensive and potentially slowing down development, although I think that's changing as people realize that lighter weight "guerilla" methods can be just as effective. Also, usability is a relatively new concept for a lot of people, so it's never been an indispensable line-item in development budgets. Who knows? Maybe it'll achieve that status in the next few years--mostly thanks to the influence of Apple. MOZ: How do you see the discipline of Usability trending in the next few years? What is going to matter? KRUG: I think--or at least I hope--that it's going to become much less of a thing that only specialists do and more something that everyone does. For instance, I think that any degree program for developers or designers should include a course in user experience (I think most people could learn what they need to know in a semester). Not that there won't be plenty of work for specialists, just that they'll be doing more advanced work, coming up with new interaction ideas, and teaching everyone else. MOZ: Tell us about Rocket Surgery Made Easy. Is a handbook for usability testing important today? At this point in the evolution of the web, do you find that people are still getting usability wrong? KRUG: Well, we're back to me and my hammer again: I think that everyone who's building something that people interact with should be doing some form of usability testing, whether it's bringing in a few people once a month or just doing frequent "hallway" tests where you grab somebody for a few minutes and ask them to try using whatever you're working on at the moment. I mainly wrote Rocket Surgery for people who want to do some usability testing even though it's not their "real" job. So I spelled out a complete formula for how to do testing that's quick and efficient, but still almost always produces more valuable design insights than you can use. And it's not so much that people are getting usability wrong; it's more that it's almost impossible to get all of usability right, at least on the first try. It's really hard, and with possible exception of the occasional genius designer (one of those unicorns people are always trying to recruit, like designers who code and developers who design), nobody can get it completely right without doing some usability testing. MOZ: What have been some of your takeaways from the OutSystems conference? People in Lisbon are really nice and smart. I already knew this from a previous visit, but it was fun to learn it all over again. I never realized that almost all the developers coding enterprise applications have to do their own design work. I didn't know there was a company out there that took my books as seriously as the folks at OutSystems. It was really gratifying to see what can happen when an organization makes usability a top priority. I loved some of the usability features they "cooked" into Platform 8. My favorite is probably the way they found to "automate" optimal vertical spacing in designs. I started out as a typesetter originally, so vertical spacing (or "leading") has always been an obsession for me, and I know just how much of a difference it can make for readers/users, and how hard it can be for even designers to get right. So I was really tickled to see that they'd come up with a feature that just does the right thing, without the person building the app having to think about it at all. Honestly, I was blown away by it. Also, some folks at OutSystems put together an excellent PDF called "11 Usability Rules for IT Developers" that has some of the best basic usability advice I've ever seen. Visit our conference site to watch Steve deliver his presentation to attendees, and check out this real-time, hand-illustrated infographic from our event last week. Our UX-for-IT tool kit is also available for all developers interested in learning more about usability and UX basics.